Congratulations on your engagement! 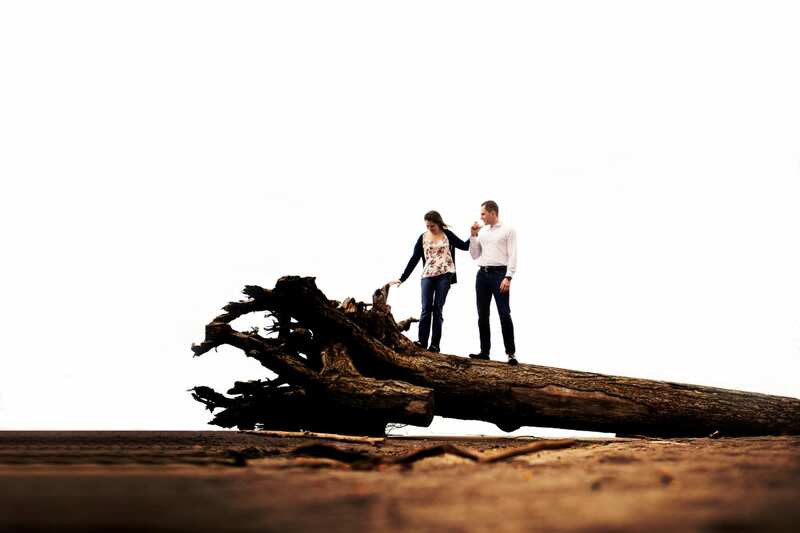 When people think of engagement photos, they often think it means we’ve photographed the proposal. Actually, an engagement photo session is after you’re engaged and you want some fun, casual and laid back photos to share on your wedding website, have printed at the wedding and print on a save the date card. Or maybe you just want some practice in front of the camera! 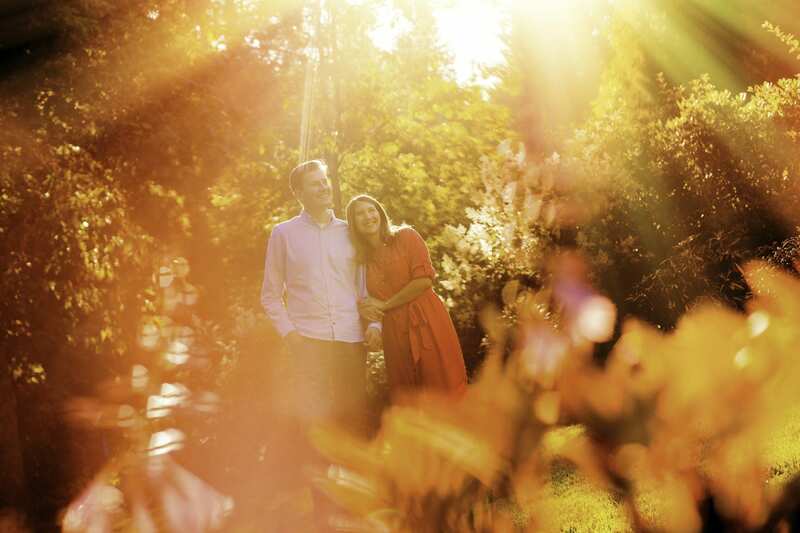 In fact, this is our top reason for recommending an engagement session. It makes a world of difference to have had a little practice come wedding time. Plus, we’ll be like old friends already. Engagement sessions can be personal, at your home or in your favorite bar. 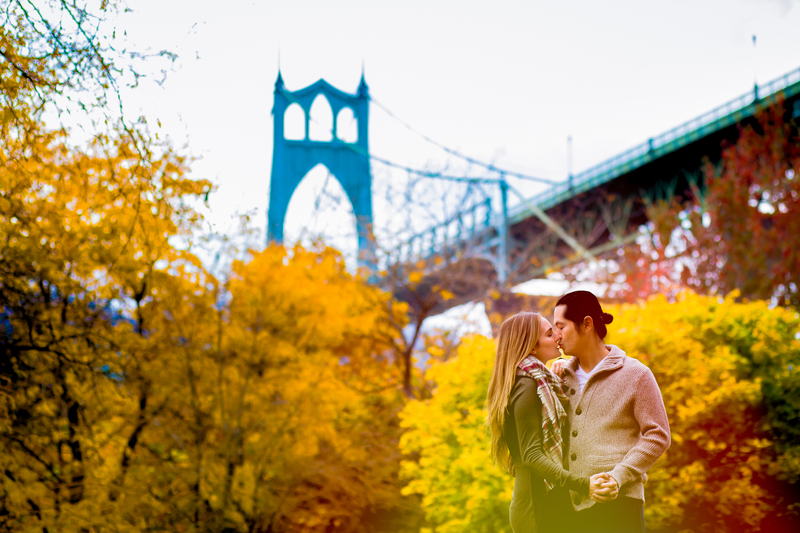 Engagement sessions can also inspire your guests, show off the beauty of the city where you’re marrying and also celebrate your love in one of your favorite places. And if you really want to go nuts, engagement sessions can take you to more exotic locations like Hawaii, San Francisco or the beaches of Southern California. Just for fun. We love the opportunity to spend more time getting to know you both and also capture you in a more relaxed setting. Natalie and Hai were so much fun to hang out with. To them, it was their engagement photo session. To us, it was a double date night with a super fun couple that we’ll have the pleasure to capture again next summer for their wedding. 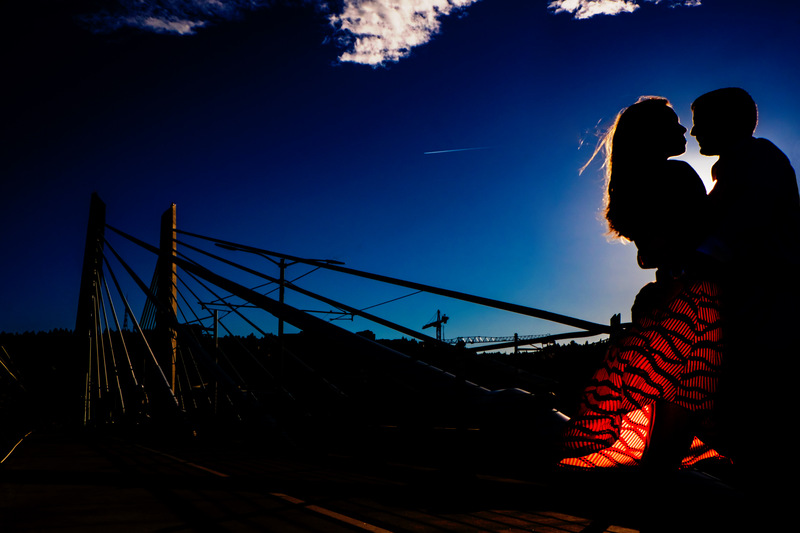 Matt & Angela joined Daniel at near sunset for their PDX engagement session and while of course they spent most of the time on the Tilikum bridge, Daniel also snuck in a few extra shots in the evening glow. Anthony and Alexandra are getting married tomorrow and Daniel had the opportunity to photograph their romantic Crystal Springs Rhododendron Garden engagement session. They began their portrait session at the beautiful sprawling gardens and if you’re local and haven’t been there yet, we hope these photos will convince you. And maybe even convince you to take us with you for your engagement too! We love Dan and Ellen. Any engagement session that ends with us asking the couple to go “stand in these bushes” and soon after, the bride walks out with mud soaked feet, belly laughs and asking for photos of said feet…we’re winning. We recently joined Mark and Katie for a couple hours in one of their favorite waterfront parks in Vancouver for their Columbia River engagement session. How can we sum these two up? They’re the kind of people you want to sit back and have a beer with. Sweet, sensitive and so kind to each other, yet lighthearted and always game for a laugh or a joke.